Prestigious Greentree Business Centers Acquired by V R I One and Two Greentree Associates. 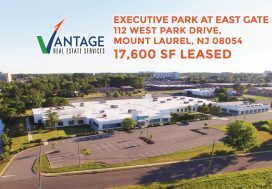 Vantage RES announces the off-market sale of two Class A office buildings in Marlton, New Jersey. The buildings are located at 10000 Lincoln Drive East and 9000 Lincoln Drive East and cover approximately 55,997 square feet and 56,075 square feet, respectively. Leor Hemo, founder and managing principal of Vantage RES, identified the opportunity and subsequently matched the buyer, V R I One and Two Greentree Associates, and seller, Tequesta Properties. The off-market status of these assets allowed for the respective parties to negotiate mutually beneficial terms and to close quickly and efficiently. The two buildings, known as One Greentree Centre and Two Greentree Centre, are prominently placed on Route 73 and Greentree Road. These two buildings feature a shared courtyard, high quality tenancy, ample parking, and attractive modern design. The project also offers energy-efficient rooftop solar panels, an efficiency passed along to the tenants. The buildings are conveniently located near the New Jersey Turnpike and Interstate 295, just 20 minutes from Center City Philadelphia and Philadelphia International Airport, 40 minutes from Princeton, and 90 minutes from New York City. 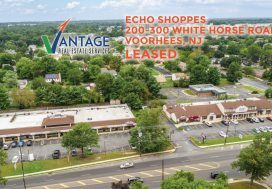 The two business sites are also within close reach of many local amenities and afford access to a diverse employment base in South/Central New Jersey, the Philadelphia MSA and Delaware. 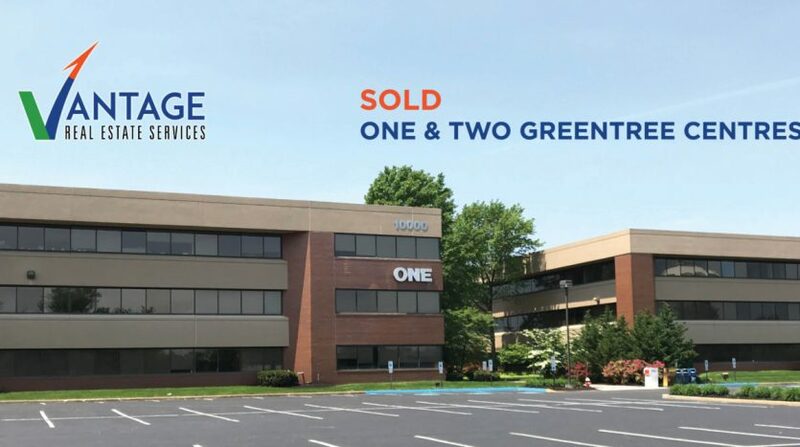 One Greentree is currently 100% occupied and Two Greentree is 83.6% occupied, with a vacant ground floor office of approximately 4,120 square feet and a 5,065 square foot office suite available on the third floor. Vantage RES will act as exclusive leasing agent for the new owner, who plans to make immediate improvements where needed. Vantage RES has a long history of maintaining high-quality assets and tenant relationships. ”VRI is constantly looking for opportunities to continually increase our presence in the South Jersey Region and Philadelphia MSA. Vantage RES presented us with this opportunity of two well-located and maintained assets which complement our existing portfolio and execution strategy. Working directly with the seller enabled all parties to structure a transaction with minimal disruption and complete alignment”, said Rick Schwartz of V R I One and Two Greentree Associates. Chris Bierbach of Tequesta Properties worked hand in hand with partners Hemo and Schwartz to complete the successful sale. About Tequesta Properties: Tequesta Properties, Inc. is a privately owned real estate company that owns and manages a portfolio of Class-A suburban office buildings in Marlton, NJ and Jupiter, FL. Anticipating future market trends, making diligent purchases, investing for the long-term future and developing a reputation for a commitment to quality distinguish the firm. High tenant retention demonstrates their dedication to excellence in comparison to competitors. Tequesta’s core competencies include: Asset Management, Property Management, Maintenance Service, Construction Management, Acquisition, Dispositions, Marketing, and Leasing. About VRI One and Two Greentree Associates: VRI One and Two Greentree Associates is a subsidiary of Veritas Real Estate, which was founded in 2006 by principals with deep roots and experience in commercial real estate. Today, Veritas is a full-service commercial real estate investment and management firm with a growing portfolio with close to 1 million square feet of high-quality owned and managed properties in the Philadelphia/South Jersey area. The foundation of Veritas’ success as owners and managers is a strong, continued commitment to their most important asset – their Tenants. Whether large corporations or smaller localized businesses, each relationship is viewed as a long-term partnership. The firm believes in understanding clients’ business and unique requirements while operating on the core principles of truth, honesty and integrity. 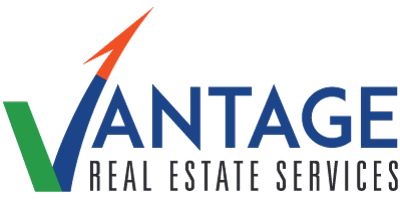 Vantage RES specializes in all aspects of commercial real estate including leasing & sales for retail, office and industrial properties, acquisitions & sales for land or investment properties, healthcare industry real estate, construction management, property management, property valuations and advisory services. Learn more about our company today.